Here are some fun facts about Harlequin. • Harlequin started publishing eBooks in Oct 2005. • Harlequin was the 1st major publisher to make its complete front-list catalog available in the eBook format. • Harlequin was one of the 1st romance publishers to offer the eBook format. 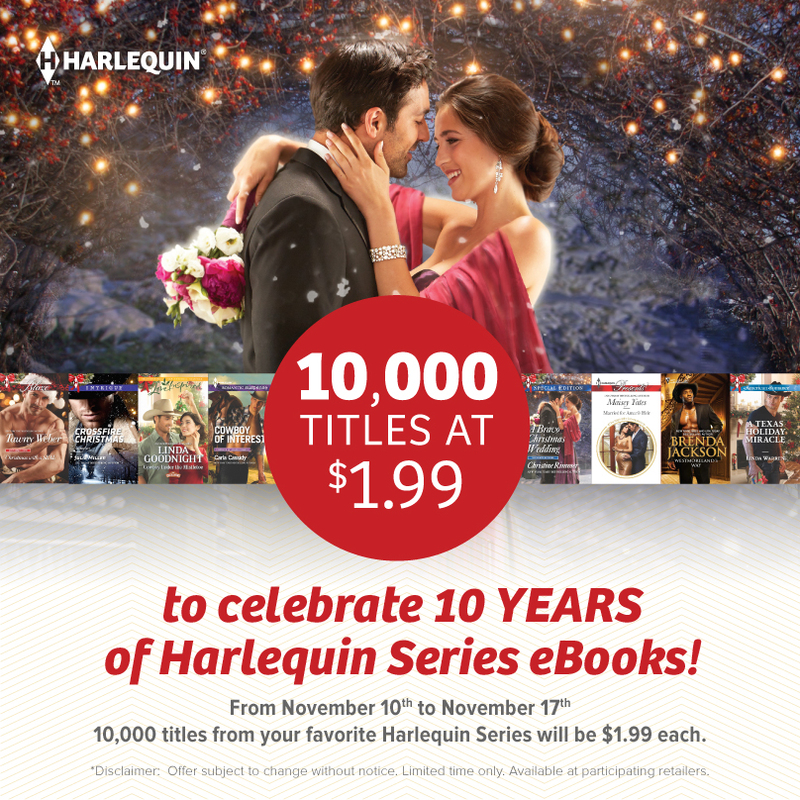 • Harlequin has published approximately 27,000 titles LTD.
• Harlequin publishes eBooks in 16 languages, including major languages such as English, Spanish, Portuguese, French, German and Japanese. • Romance is one of the most popular categories in digital publishing. Yeah, like we didn’t know about that last factoid. LOLOL 😉 Anyway, to celebrate, I’m giving away a $5.00 Starbucks card to one commenter today. Because coffee goes with reading, am I right?!? This entry was posted in Books, Writing Life and tagged Amazon Kindle, book sale, books, coffee, contest, fun stuff, reading, Red Dirt Royalty, Tuesday Temptation. Bookmark the permalink. I’m getting ready to post this on my blog tonight as well. Coffee totally goes with reading. I can’t believe I totally missed stopping by your blog yesterday. Deadline and edit brain swirled into one big stew. N0 worries. 🙂 I know exactly where you’re coming from!